Mesa Verde National Park is a special place in Colorado that holds more than 4,000 archaeological sites including cliff dwellings, pithouses, pueblos, masonry towers, and farming structures. 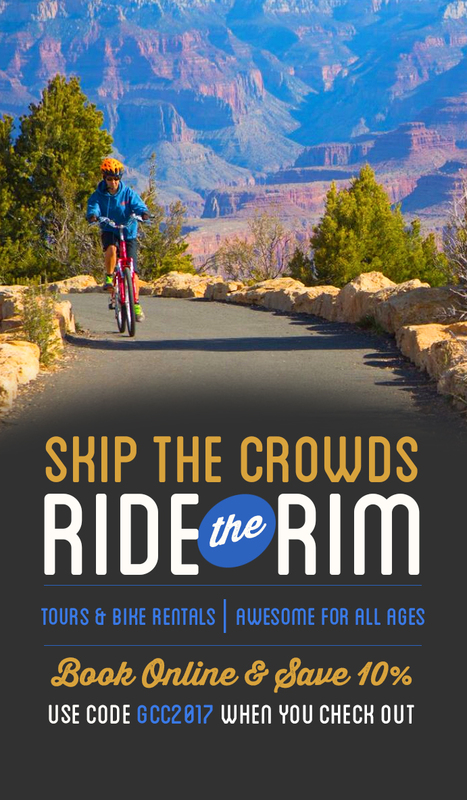 The Ancestral Puebloan people built beautiful cliff dwellings into the surrounding landscape, that their homes and protected a few hundred people The park goes to various cliff dwellings, giving visitors a front row seat to how they were designed and look from a distance. 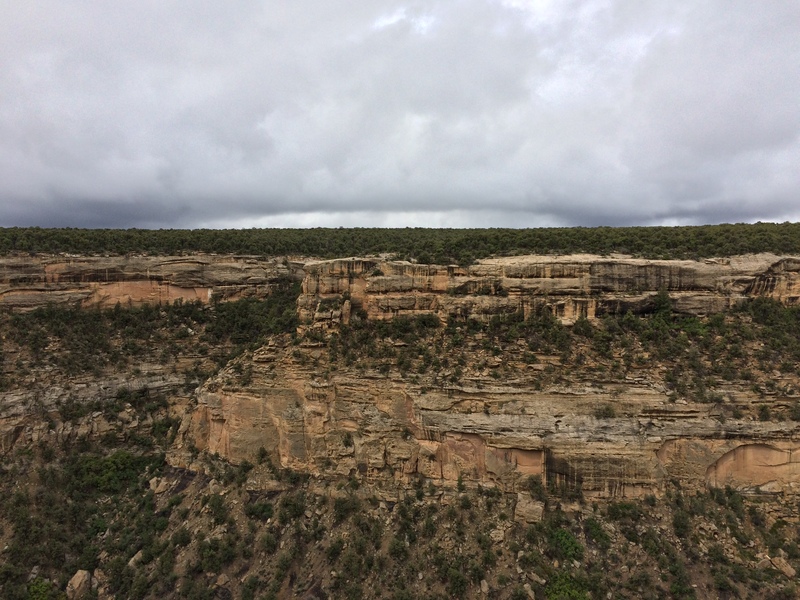 About 1300-1400 years ago, long before Europeans came to what is now North America, a group of people living in the Four Corners region chose Mesa Verde as their home. These people known today as the Ancestral Puebloan people. For more than 700 years they and their descendants lived and flourished here, creating elaborate stone communities in the sheltered alcoves of the canyon walls. In the late 1200s, in the length of a generation or two, they left their homes and moved away. 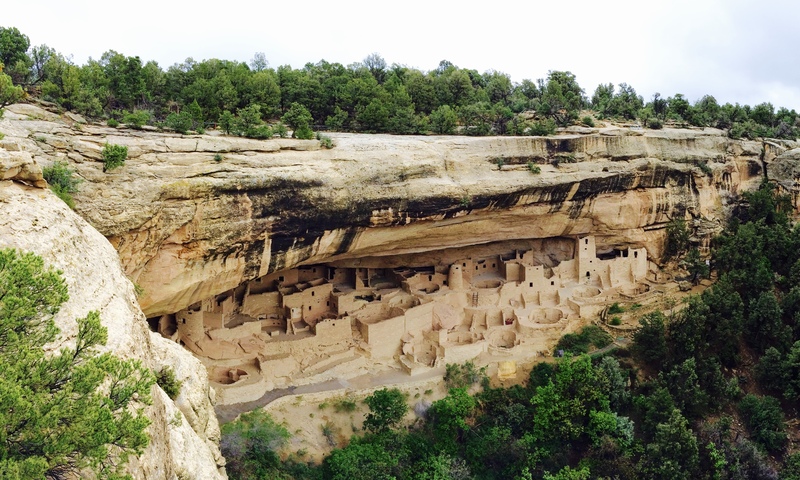 Mesa Verde National Park preserves a spectacular reminder of this ancient culture. A popular cliff dwelling most visitors visit in the park is called Cliff Palace. 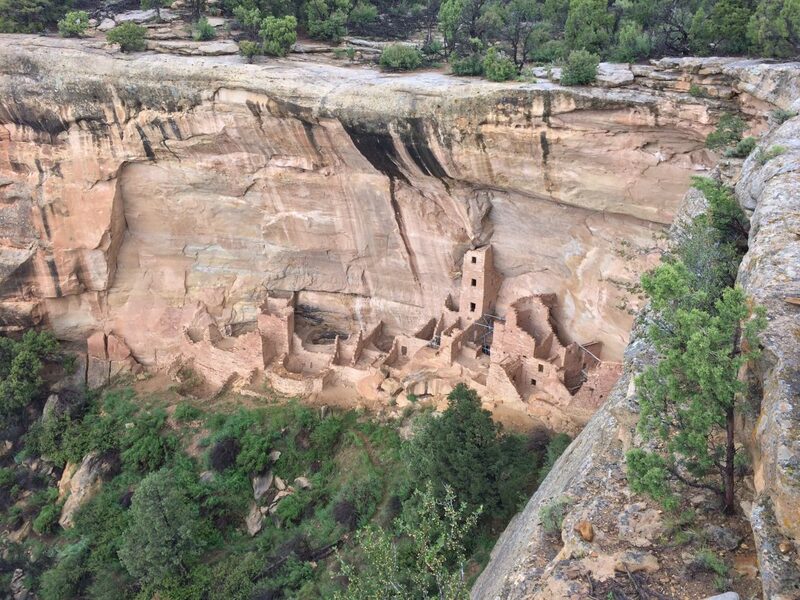 Recent studies reveal that Cliff Palace contains 150 rooms, 23 kivas and had a population of about 100 people. Out of the 600 cliff dwellings within the boundaries of the park, 75% of them contain 1-5 rooms each, and many are single room storage units. If you plan to visit Cliff Palace, you will enter an extroadinary large dwelling which may have had special meaning to the original dwellers It is thought that Cliff Palace was a social, management site with high ceremonial usage. Another cliff dwelling to visit in the park is Balcony House. Balcony House, a “medium size” cliff dwelling, has 40 rooms. This archeological site displays how room and passageway construction evolved throughout time for the Pueblo people. Today, the tunnel, passageways, and modern 32-foot entrance ladder are what make Balcony House the most entertaining cliff dwelling tour in the park. 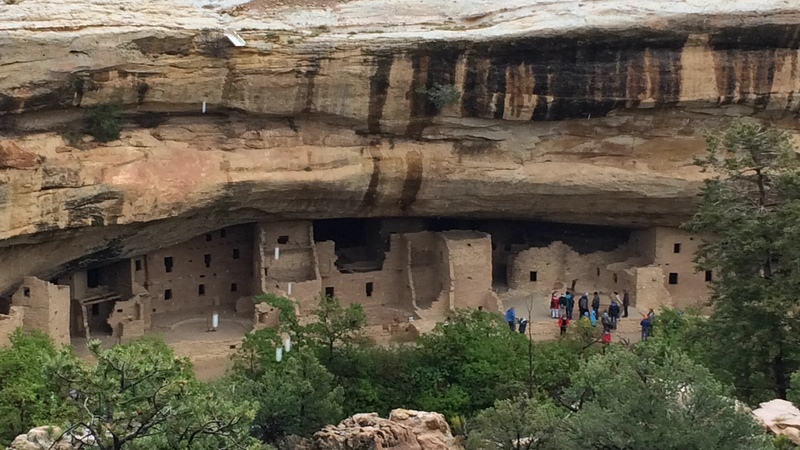 Mesa Verde Balcony House can be explored by a ranger-guided tour only.